Forbidden and mysterious, nothing compares to the ora of a shipwreck. Since the dawn of civilization, the water has claimed vessels of humanity. 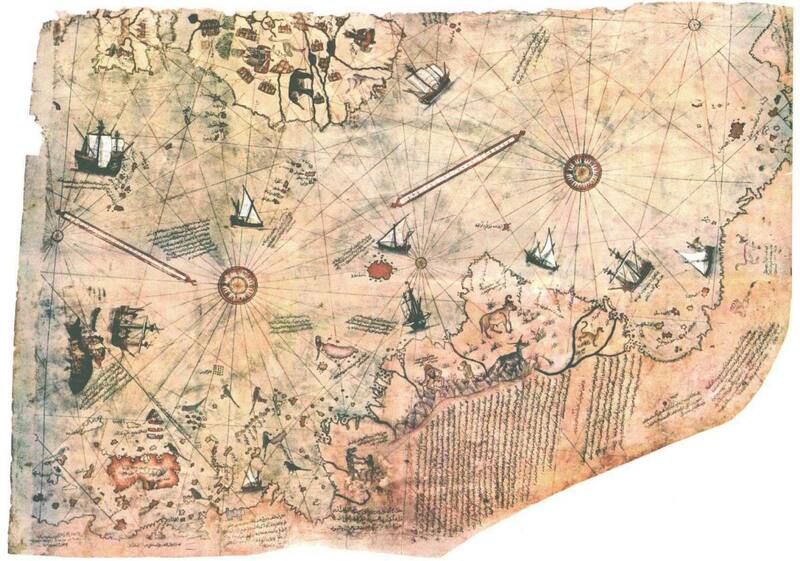 It is believed that some three million shipwrecks lay scattered across the world's oceans. Like seashells scattered across a breach, each ship has a different story to tell, each unique. It is in this spirit that I have collected some of the world's most famous and fascinating ship wrecks. Some are well known, others all but forgotten. Some four hundred miles off the coast of the United States, about two and a half miles below the surface, the Atlantic Ocean holds tight to its most famous prisoner, the RMS Titanic. The ship, upon its construction in 1912, was considered the largest moving object ever made. 882 feet in length and 48,000 tons, she was a floating luxury palace. 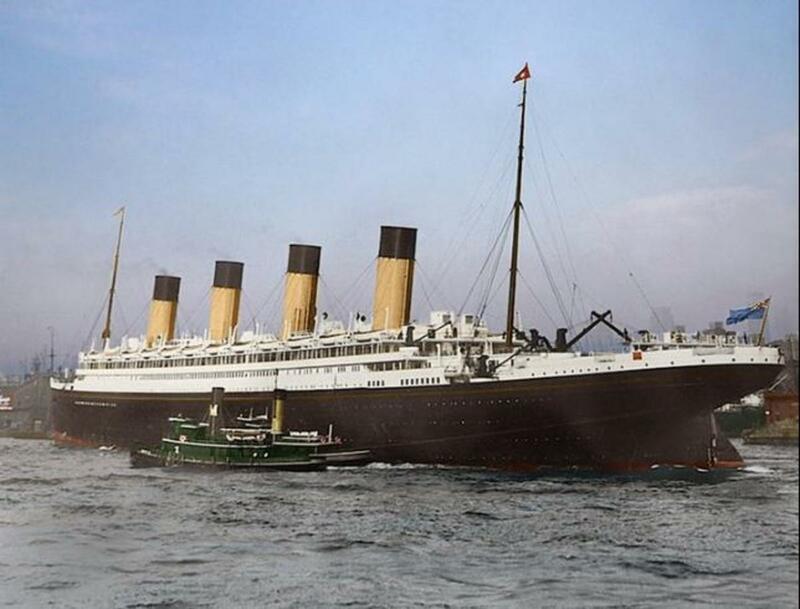 Additional refits, equipment and design even separated Titanic from her sister ship Olympic, out sizing her by 1,500 tons. Intended to be the White Star Line's flagship for the next twenty years, the exceptions of the vessel were high. She would sail into history as the greatest maritime disaster of all time. 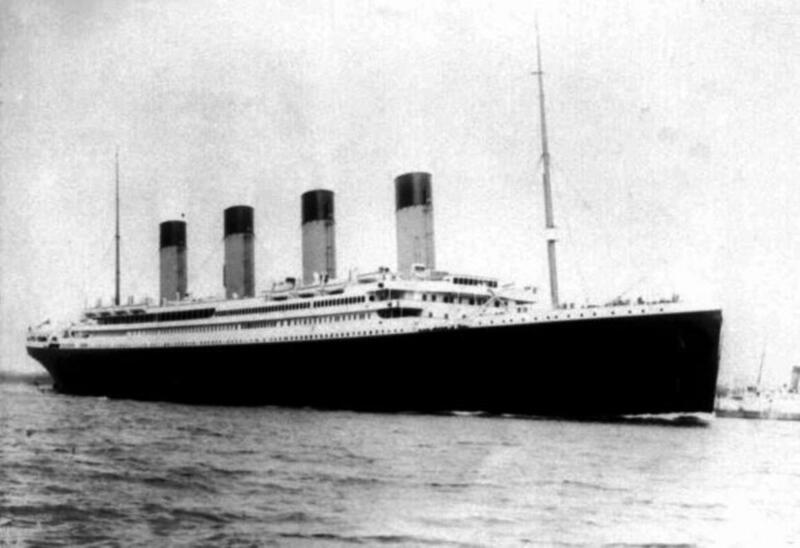 Over 1,500 souls would perish on the night of April 15, 1912, two hours and forty minutes after colliding with an iceberg. The sinking of the great liner would usher in a new era of change in Maritime emergency procedures, much of which are still in effect today. 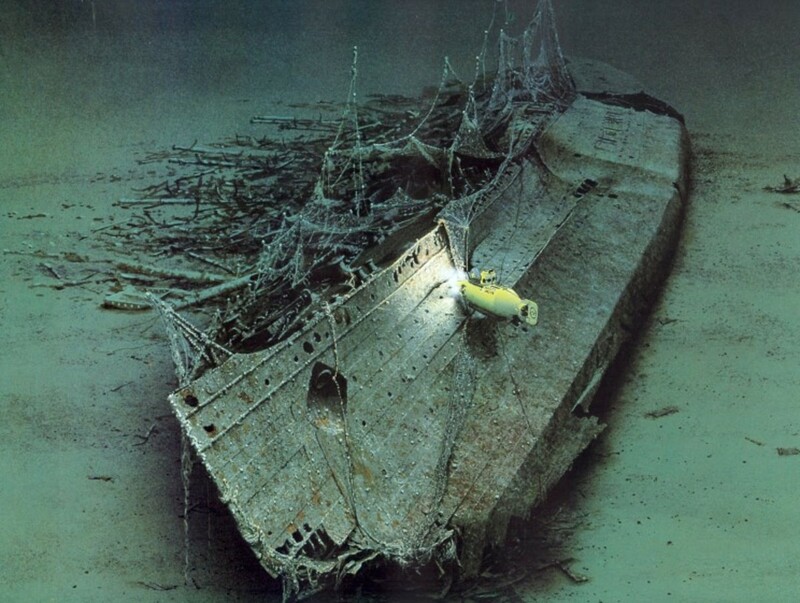 Since the discovery of the wreck in 1985 by Dr. Robert Ballard, the Titanic is one of the most frequently visited wrecks on the ocean floor. In total 5,500 artifacts have been recovered and are now displayed in exhibitions worldwide. In the last ten years, deterioration of the wreck has increased and experts estimate that the wreck will completely collapse by 2030. 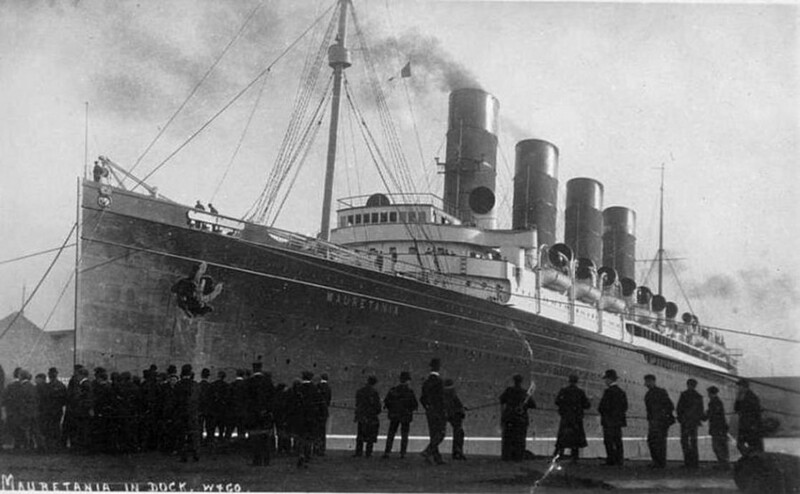 She was one of the fastest liners on the ocean and the direct rival to White Star Line's Titanic. Launched in 1906, the RMS Lusitania was the Cunard Line's answer to the booming passenger trade of the Trans-Atlantic Shipping Lanes. Her size allowed for 50% greater passenger space, and until Titanic and Olympic were built, remained unchallenged in her market cap. Her four steam turbine engines produced an astonishing 76,000 horsepower, capable of driving the ship through the water at 26.1 knots. In her eight year service, she made 202 crossings from Liverpool to New York. In 1914, World War I was breaking out and the trans-atlantic trade quickly became bottle necked with the threat of German U-Boats. The Germans grew more and more aggressive with their U-Boat campaign and soon they were targeting any vessel, military or civilian that crossed British waters. 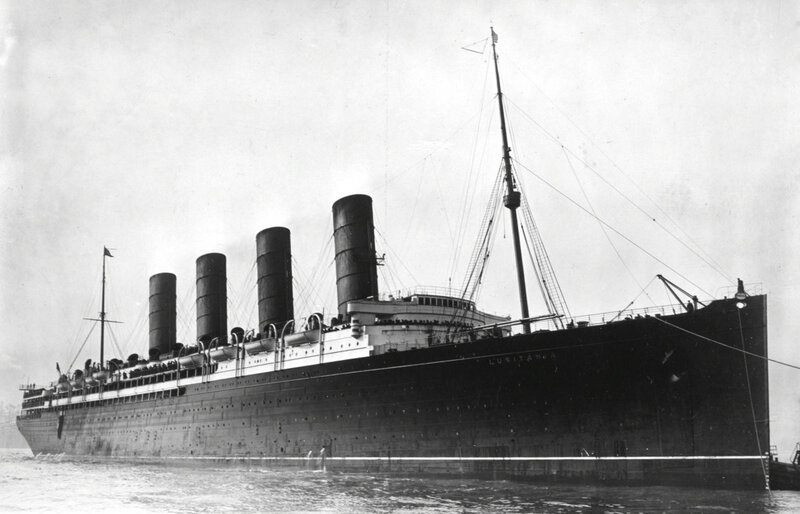 On May 7, 1915, the Lusitania was hit by a German torpedo off the coast of Ireland. The resulting explosion blew a gaping hole in the starboard side. The ship began to list dangerously and while the order was given to abandon ship, the captain attempted a last ditch attempt to beach the vessel on the shore. Charging ahead at full speed only added to chaos of the evacuation. Lifeboats were getting snagged on the ship's hull plating and some were sucked into the ship's still turning propellors. In less than 20 minutes, the ship plunged beneath the waves, taking 1,198 of her 1,959 passengers and crew to their graves. The sinking helped to change public view on Germany and would help push the United States into the war. 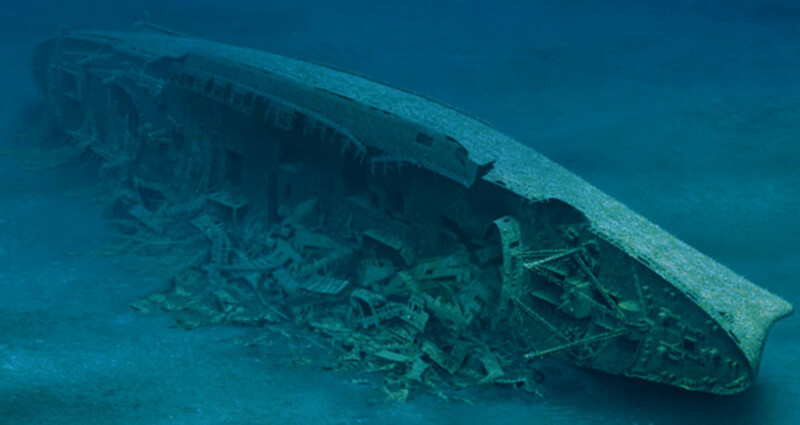 Unlike the Titanic, the Lusitania's wreck was known since it's sinking and would be subject to decades of abuse and destruction. Salvage attempts were made as early as the 1930s. A dive tunnel was proposed to be built over the wreck that would allow divers to access the ship in relative safely. Their goal was to salvage the pursuer's safe and any other items of value. Due to financial problems, this never happened. During World War II, the Lusitania was depth charged several times for target practice and by fears that Nazi U-Boats might use the wreck as a hiding spot. The wreck even changed owners several times. In the 1960s the wreck was sold by its insurance company to John Light a US Navy Dive Officer for 1,000 pounds. He was bought out by Gregg Bemis in 1986 and the site was declared a National Heritage Site by Ireland in 1995 which created a legal nightmare. Today the Lusitania lies on her side, draped in snagged fishing nets. On July 25, 1956, the world tuned into an extraordinary, yet tragic, event. Broadcasted live to a stunned world, the stricken transatlantic liner, SS Andrea Doria, made her final plunge into the ocean. For the first time, the world watched the disaster unfold in real time. The loss of the ship would signal the end of the trans-atlantic passenger service. From then on, air travel would become the preferred method of transportation. The flagship of a defeated country, the Andrea Doria was Italy's phoenix from the ashes. Launched in 1951, the SS Andrea Doria was hailed as one of the safest vessels ever built. Small at only 697 feet and a displacement of 29,083 tons, she was neither the largest nor the fastest vessel of her day. She was however, the most luxurious. The first vessel ever to feature three outdoor swimming pools, she was adorned with over $1 million worth of artwork and décor. Despite her safety features which included a double hull, watertight compartment design and early morning radar, the ship had a number of design flaws. The most problematic of these was a habit of listing dangerously after any significant force hits the ship. This would ultimately contribute to her fate. A heavy fog rolled in on the night of July 25, 1956. The Andrea Doria, nearing the end of her voyage, was on approach to New York. Meanwhile the light cruiser Stockholm was departing from New York. Misinterpretation of radar signals and the fog was a fateful recipe for disaster. At approximately 11:10 PM, the two ships collided. The Stockholm struck the Andrea Doria amidships, killing 57 people, and tearing a huge hole in the side of the ship. The Stockholm survived but the Andrea Doria did not. She sank eleven hours later. Her slow sinking allowed for virtually all her passengers and crew were saved. The wreck of the Andrea Doria lies in just 160 feet of water. To many scuba divers, the ship is hailed as the Mt Everest of Diving. Hundreds of divers have explored the interior and have recovered artifacts from the wreck including jewelry, china, statues and even the ship's bells. The wreck's location has also contributed to it's rapid deterioration. Strong ocean currents continuously bombard the wreck. Over the last fifty years, the superstructure has all but collapsed and the hull has begun to split. 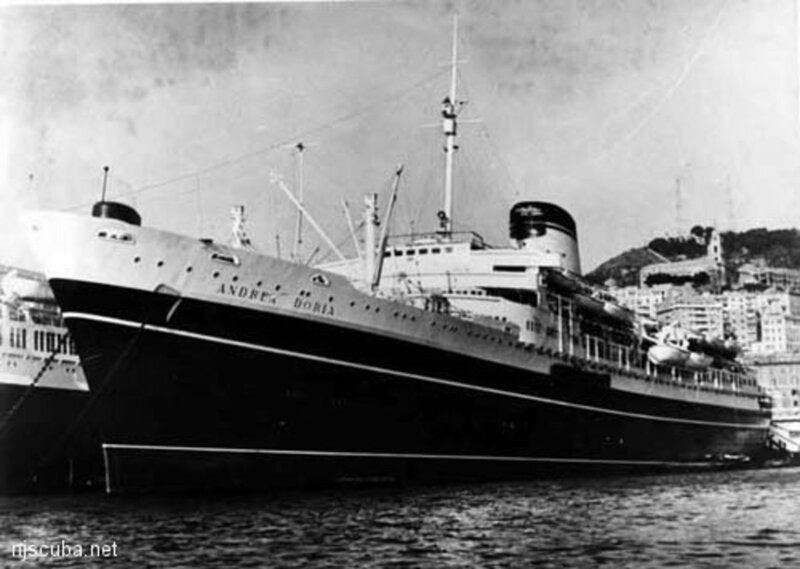 While few lives were lost during the sinking, the Andrea Doria has developed a fatal reputation with divers. In the last twenty years, over sixteen people have lost their lives diving on the wreck site. The most recent death occurred in 2015. A ship with a colorful history, the SS American Star was originally built by the United States Line in 1936 as the SS America. Until 1964 she served as one of the fastest passenger liners on the ocean. Renamed USS West Point during the war, the SS America returned to civilian service in 1946 and continued to serve until being sold in 1964. Through 1964 to 1998, the SS America was sold and renamed many times. From 1964 to 1978 she was purchased by the Chandris Group and renamed Australis. She was retired in 1978 and sold to Venture Cruises and renamed the ship America. She was in major disrepair and after several lawsuits was seised by the United States and sold at auction later that same year. Repurchased by Chandris again, the ship was extensively refitted and renamed Italis. She served for two years before being laid up and sold to Intercommerce Corporation in 1980, renamed SS Noga, and preparations began to be converted into a prison ship. This never happened, instead she was sold to Silver Moon Ferries, renamed Alferdoss, and began experiencing mechanical problems after years of neglect. Beyond repair, the ship was sold for scrapping in the 1980s, a process that would take ten years and several more owners to carry out. 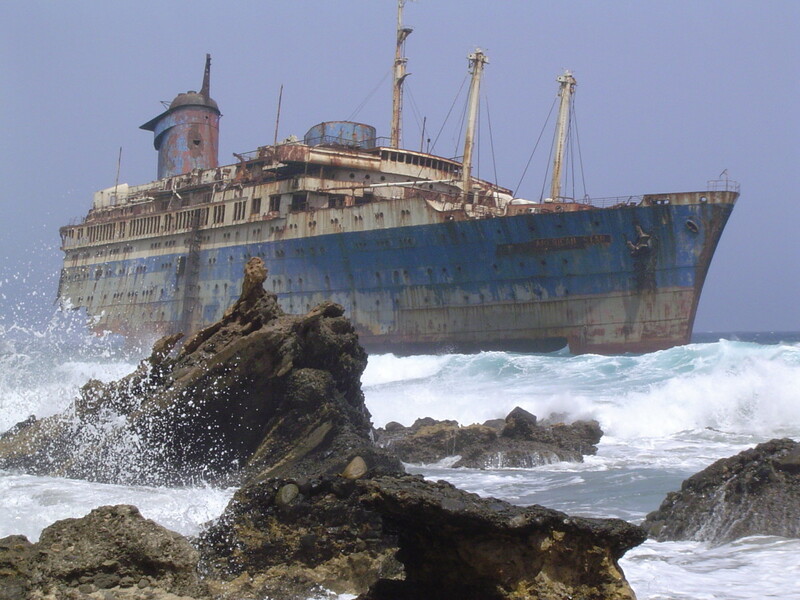 In 1993, the ship was saved from scrapping by a company that intended to refit the ship into a five star hotel. She was renamed a final time, to American Star, and she was towed to Triland. The ship never made it, A thunderstorm severed the tow lines and the American Star ran aground, breaking in two. 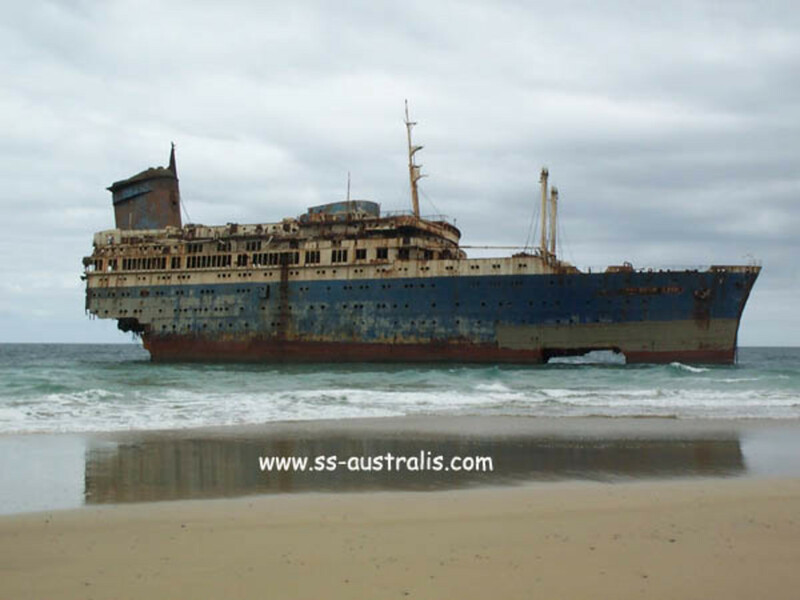 Declared a total loss, the ship was left to fourteen years of abuse by the tides which battered the ship into an unrecognizable pile of steel by 2008. During those fourteen years she was a favorite of surfers and enthusiasts who would brave the dangerous waves to enter and explore the ship. As of 2012, nothing remains of the ship but a few pieces of twisted steel. 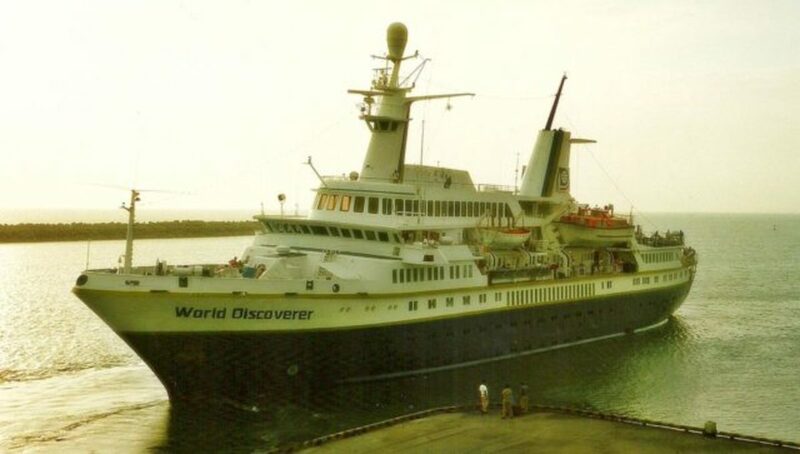 The MS World Discoverer, originally BEWA Discoverer was a German Cruise Ship built in 1974. A tiny vessel, only 287 feet long, the vessel changed owners a couple times. Its 8,000 mile range allowed the ship to travel the most remote of routes including the North West Passage and the Antarctica. 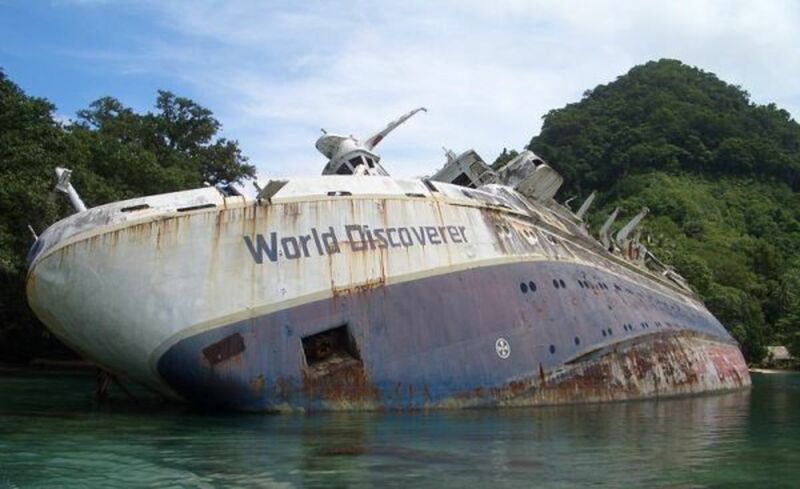 On Sunday April 30, 2000 in the Solomon Islands, The World Discoverer struck an unknown reef, ripping a huge hole in her keel. The captain then gave the order to beach the ship to avoid its sinking. The damage would later prove too much and the ship was declared a loss. The ship has remained where she beached ever since. Several unsuccessful salvage attempts were made and the scrappers noted that the ship had been repeatedly ransacked by the locals since the Islands were in a time of civil war. Anything of value was taken from the ship. Since then the ship has become a tourist destination and is even a featured stop on Princess Cruises. What exactly happened on the night of November 10, 1975 will probably never be known. 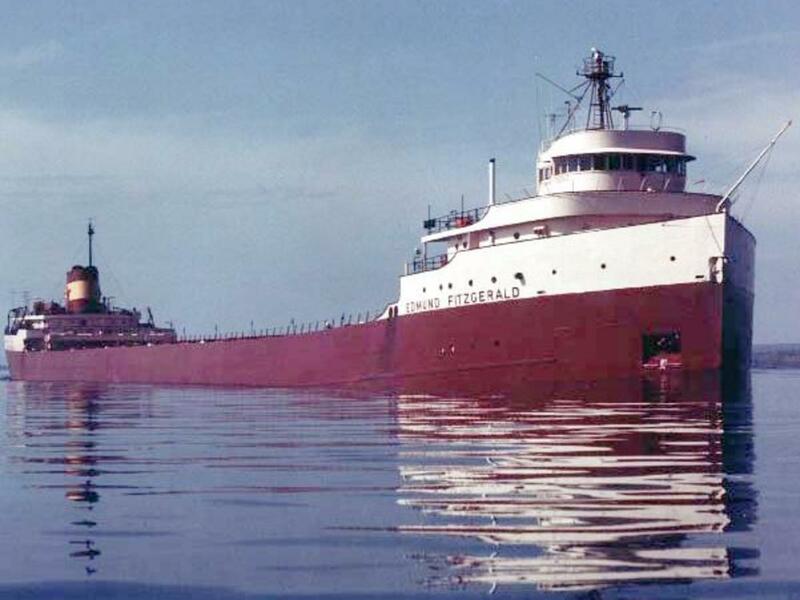 That was the night the SS Edmund Fitzgerald went down with all hands during a Great Lakes storm. 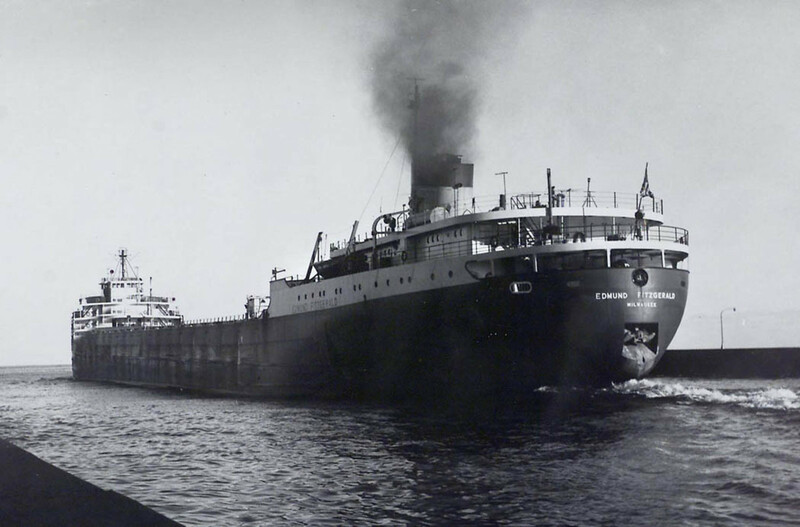 Launched in 1958, the Edmund Fitzgerald was a cargo freighter. At 729 feet, she was the largest vessel ever to sail on the great lakes and for seventeen years, that's what she did. On the night of her disappearance, the Big Fitz was fully loaded with a cargo of taconite pellets bound for a steel mill in Michigan. The night of November 9, the Fitz and her convoy partner encountered a massive winter storm with hurricane force winds with waves hitting thirty-five feet. The Fitz would not survive the storm. Weighed down by her cargo, the vessel snapped in two and sank to the bottom, killing all twenty-nine on board. For much of the coming decades, speculation and controversy ravaged the Fitz legacy. The ship's convoy partner, the SS Arthur Anderson, survived the storm and it's crew reported receiving several transmissions from the Fitzgerald that the ship had lost hatch covers and was taking on water. Many theories have developed over the years as to why the ship sank but nothing has been proven. 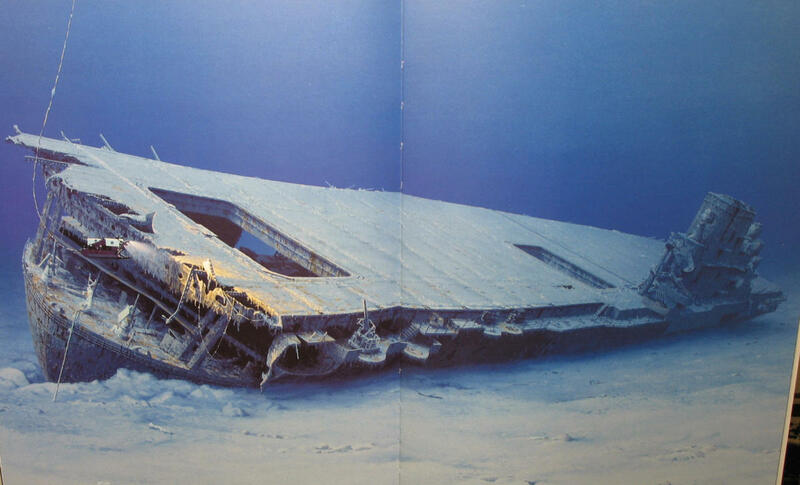 The US Navy located the wreck on November 14, 1975. Remotely Operated Vehicles conducted surveys and revealed that the wreck was lying in two pieces on the lake bottom, it's cargo of taconite scattered everywhere. In the 1980s, Jean-Michael Cousteau took the first submarine to the wreck. Several other expeditions would follow throughout the 80s and 90s and the wreck was extensively mapped and surveyed. One dive located the remains of a crew member lying alongside the wreck. Another recovered the bell from the wreck and replaced it with a memorial replica and even placed a can of beer inside the pilothouse as a salute to the sailors entombed forever in the wreck. 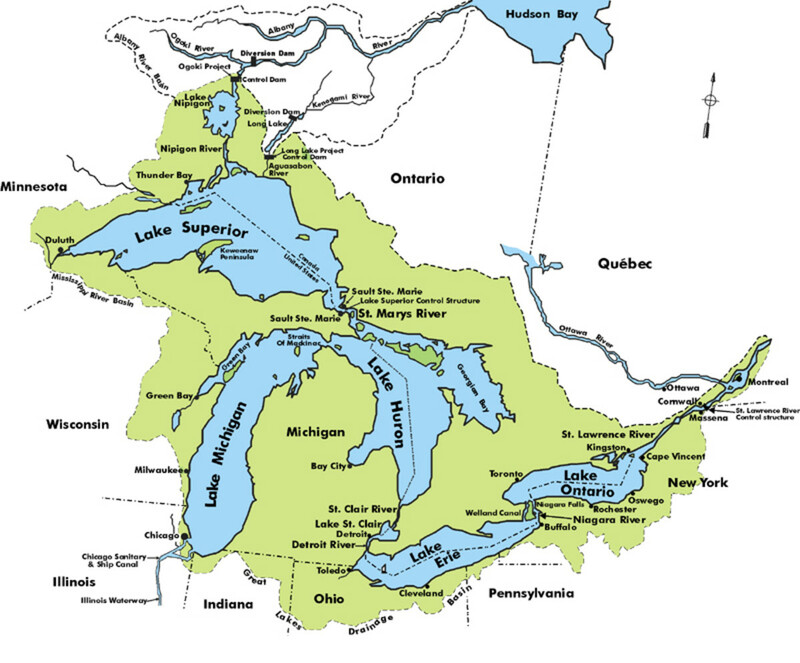 In the 2000s legislation was enacted in both the United States and Canada, declaring the wreck of the Edmund Fitzgerald an archeological site thus requiring permits before diving. This was done in part to prevent the unauthorized salvage of the ship's taconite cargo, valued at over $24 million. Finding a preserved wooden sailing ship is incredibly rare so when it happens, it is nothing short of breathtaking. 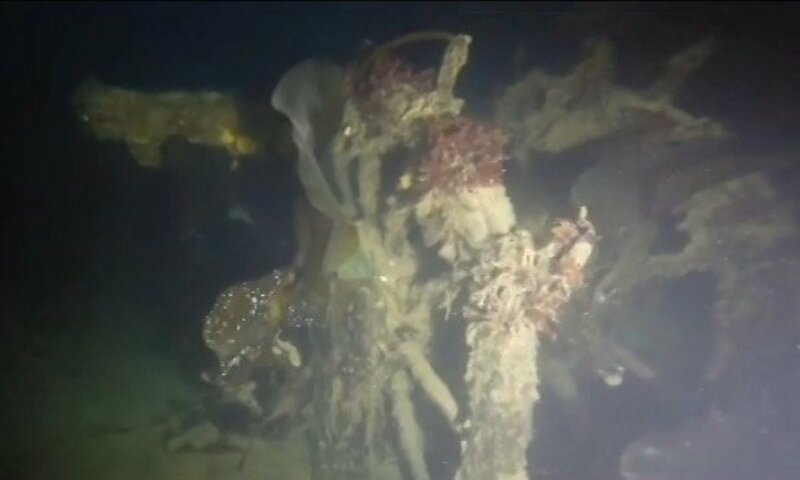 Last year, Canadian expeditions discovered the remains of the HMS Investigator at the bottom of the Arctic Ocean. Built in the 1840s, the Investigator was purchased by the Royal Navy in 1848 to search for the Sir John Franklin and his 120 men who disappeared several years earlier in the Arctic. When she was purchased, she underwent a refit to outfit her for Arctic Exploration. This included steel plating reinforcement, ventilation systems and heating systems. She was first commanded by James Clark Ross in 1848 and then commanded by Robert McClure in 1853. During her second voyage, she was hopelessly locked in the ice and was forced to be abandoned. She sat abandoned in the ice for nearly 40 years, providing a sort of copper and iron for the local Inuit people. Eventually the ship would sink after the ice ripped holes in her hull. The wreckage of the Investigator was discovered in 2010 by Parks Canada sitting upright in 30 feet of water. It's masts were missing, likely ripped off by the ice-flows. Artifacts were recovered including the ship's wheel and several old muskets. 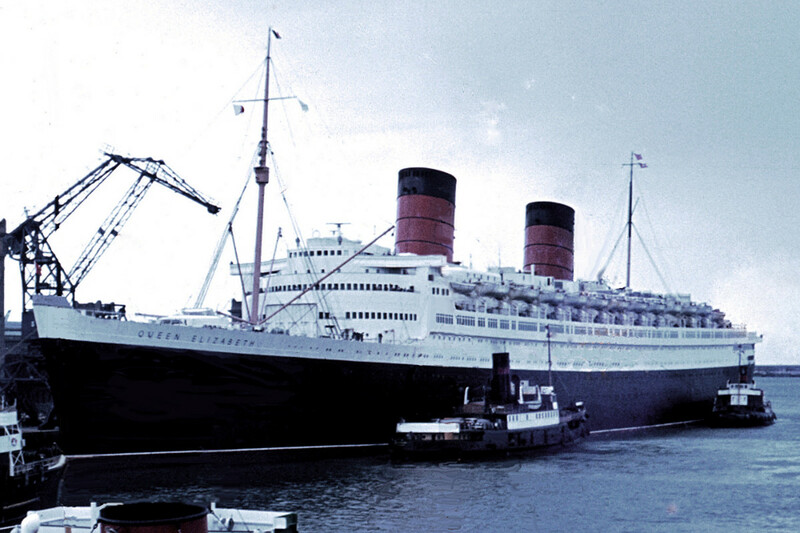 Alongside her sister ship RMS Queen Mary, the original Queen Elizabeth dominated the sea waves for over twenty years. 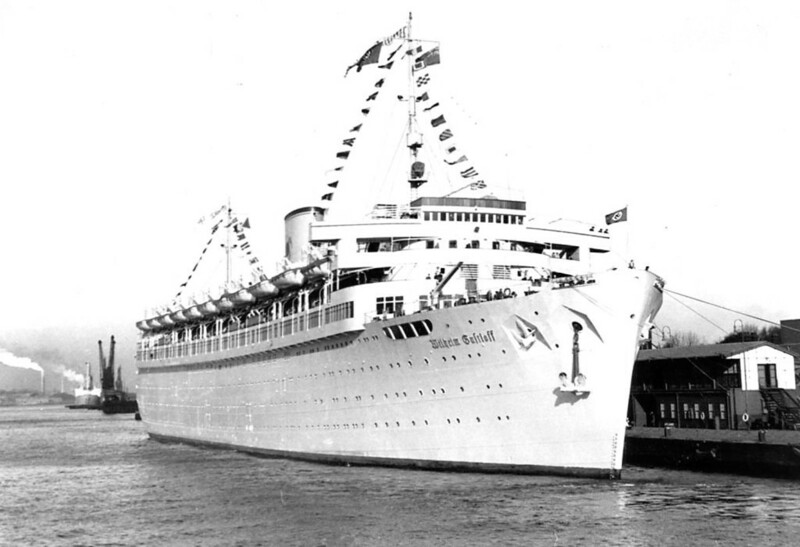 Launched in 1938, the largest liner in the world at the time was pressed immediately into service as a troopship. She helped bring an end to World War II by ferrying over 750,000 troops to both the Atlantic and Pacific theaters. Once Japan surrendered, the Queen Elizabeth enjoyed over twenty years of passenger travel across the Atlantic. It was air travel, not old age which final forced the Queen Elizabeth into retirement. She, like the Queen Mary, originally became a tourist attraction in Miami, Florida in 1969. But the harsh Florida weather forced the venture into bankruptcy after being declared a fire hazard. The ship was then sold at auction in 1970 to a Chinese businessman who intended to convert her into a floating university. During her conversion however, she caught fire and sank in Hong Kong harbor in 1972. Seen as a shipping hazard, the Queen Elizabeth was partially scrapped where she lay in 1974. Her boilers and keel remained at the bottom of Hong Kong harbor until the 1990s when land reclamation buried them forever beneath tons of earth and concrete. 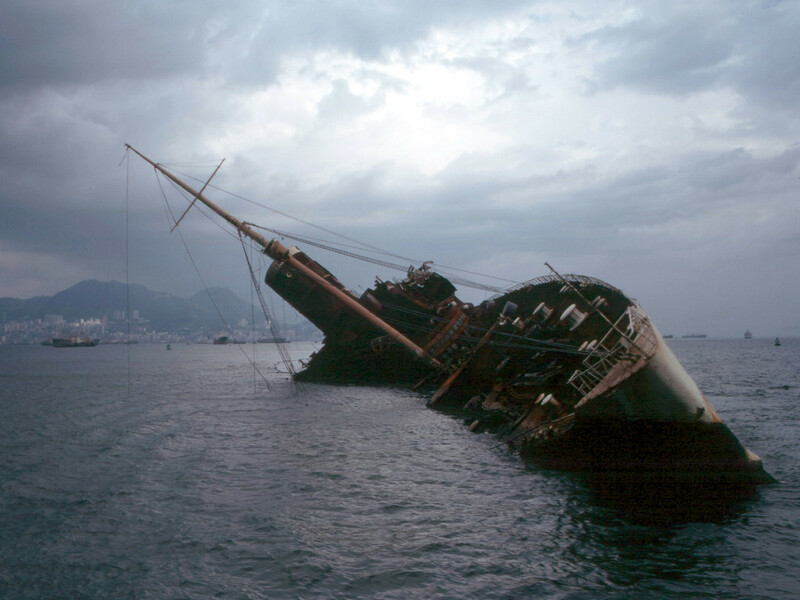 The Seawise University, formerly Queen Elizabeth wrecked in Hong Kong Harbor in the 1970s. 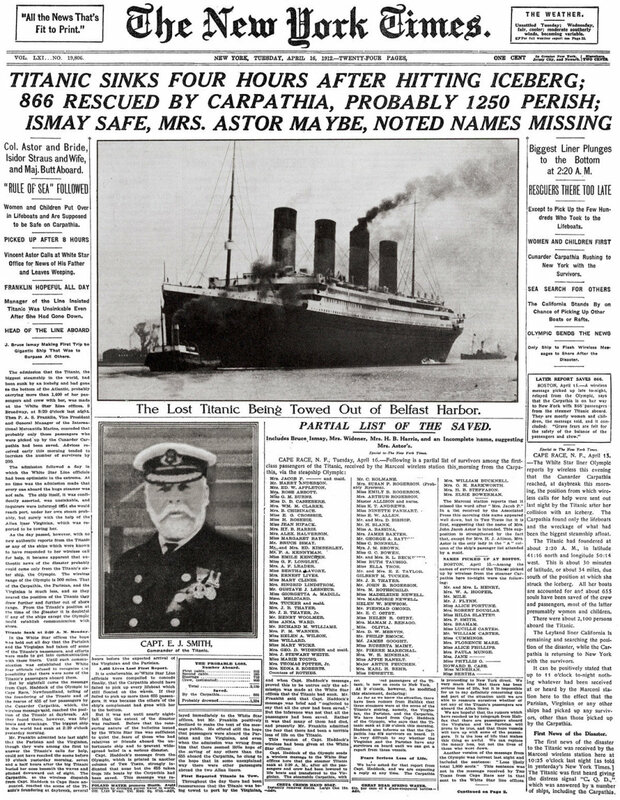 She would gain superstardom in April of 1912 as the ship who saved Titanic's survivors after the great liner's sinking. Built in 1903 by the Cunard Line, the RMS Carpathia was a small 13,000 ton vessel that was on her way to a Mediterranean cruise the night Titanic sank. 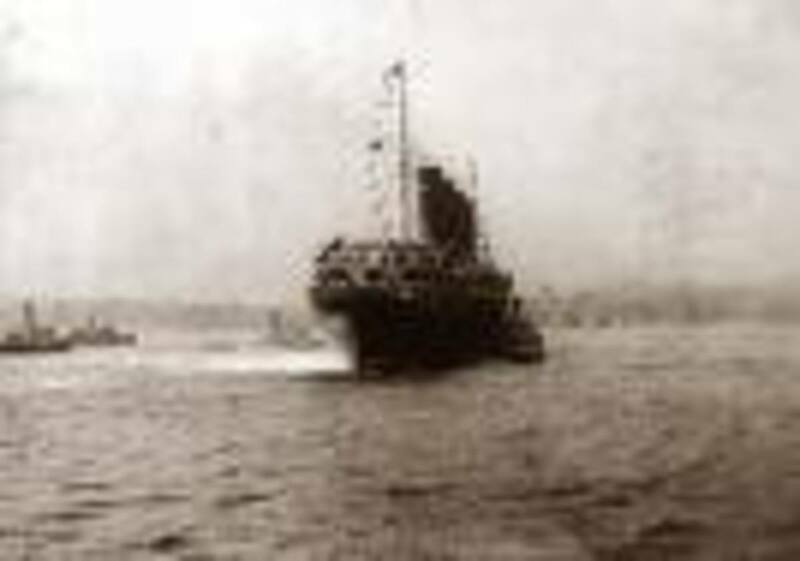 During World War I, she became a troop ship and ferried American and Canadian troops to Europe. In 1918, she met her end by the hand of German U-Boat U-55 which drove three torpedos into her. Not a single passenger or crew member was lost. 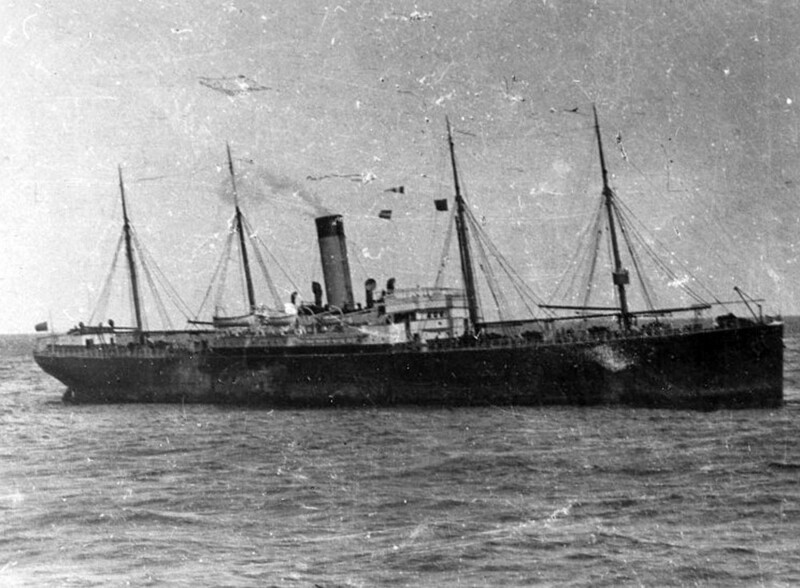 Today the Carpathia lays at the bottom of the Atlantic 120 miles from the coast of Ireland. 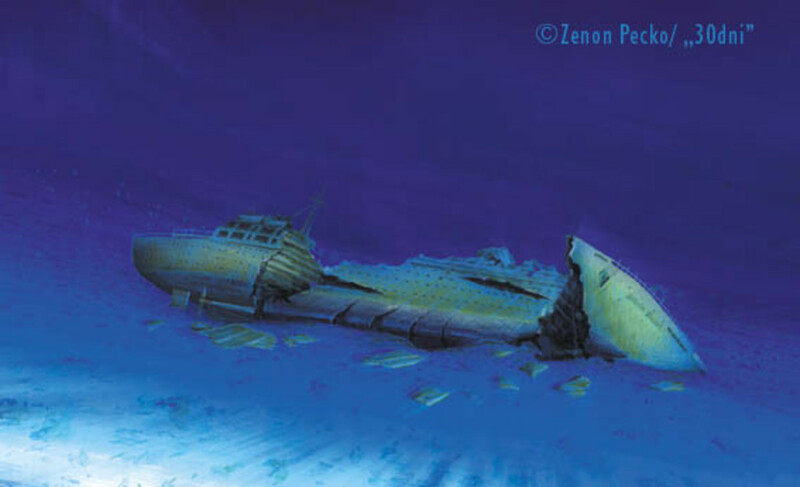 Sitting upright on the sea floor, the wreck has begun to collapse in on itself. There have been only a handful of expeditions to the wreck. More than 9,500 souls perished on board the MV Wilhelm Gustloff when she was torpedoed in the final months of World War II. She was not a warship, nor a troop transport she was a cruise ship stuffed with 10,000 German refugees who were fleeing the Red Army. A Soviet submarine, the S-14, fired three torpedoes into the side of the Gustloff in the dead of night. 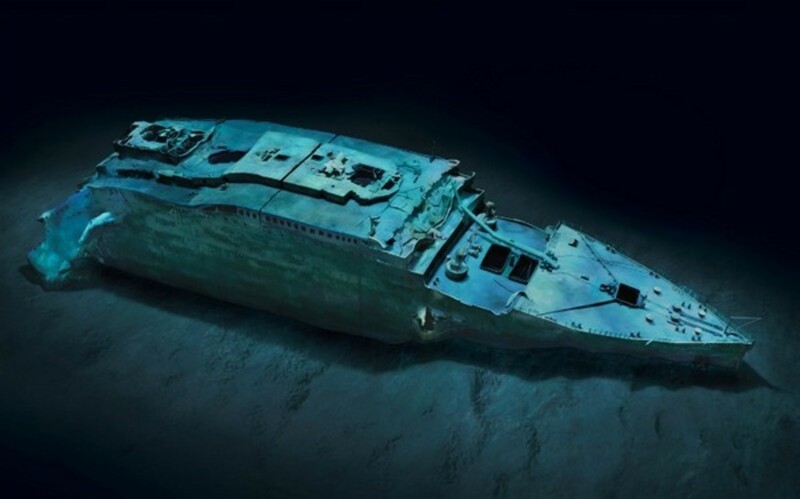 Only 996 would survive the sinking. 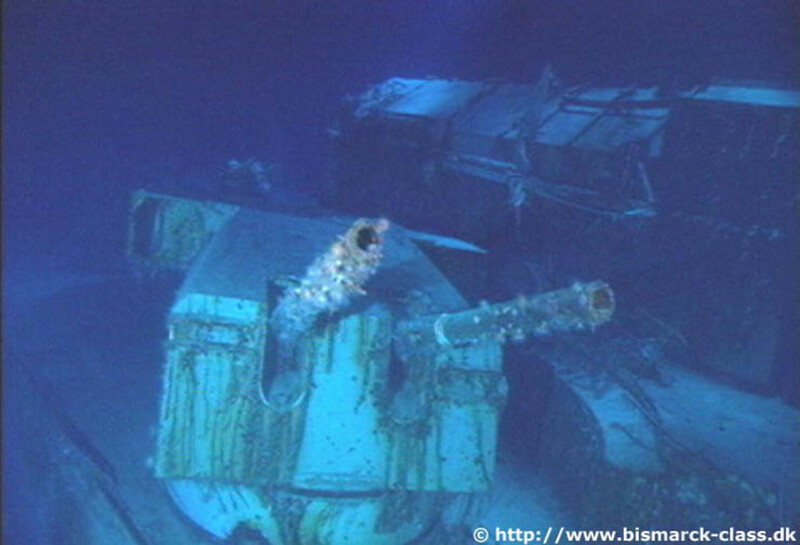 The Wilhelm Gustloff lies in the Baltic Sea, her wreck is off limits to all diving and salvage. On Sept. 9, 2014, Parks Canada announced the discovery of one of the two long lost vessels of the fabled Franklin Expedition. 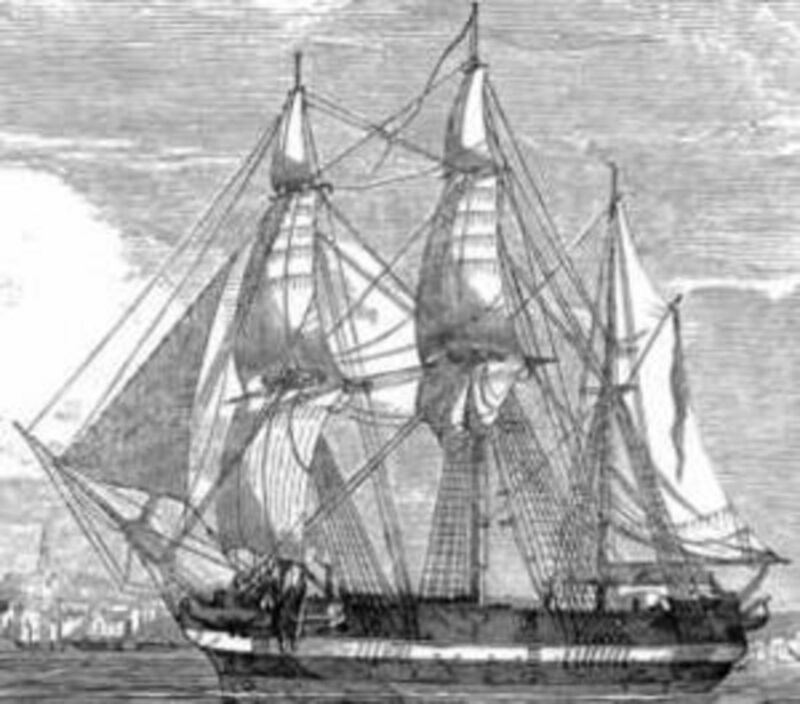 She was positively identified as the HMS Erebus when her bronze bell was found and recovered. The HMS Terror and HMS Erebus were hopelessly trapped by the ice in 1845 and were abandoned by Sir John Franklin and his men. This decision sealed their fate and the men would spend the rest of their days wandering the Canadian Arctic before finally perishing from starvation. The Terror and Erebus were Hecia Class bomb ships, built by the British Navy in 1813 and 1826 respectively. 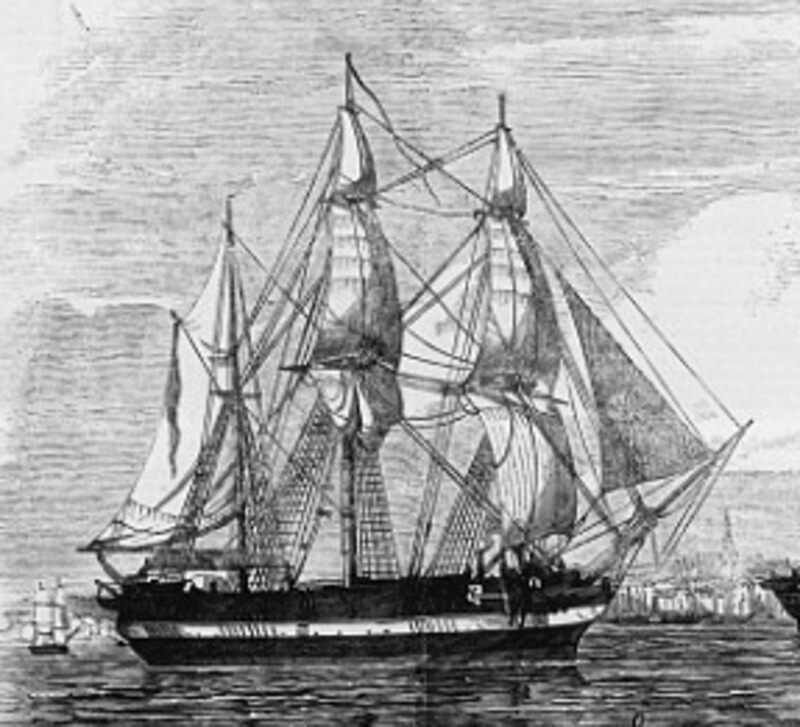 The Erebus had already successfully served on one Arctic Expedition in 1841 and was refitted for Franklin's Expedition four years later. The wrecksite was declared a Canadian National Historical Site in 2015. 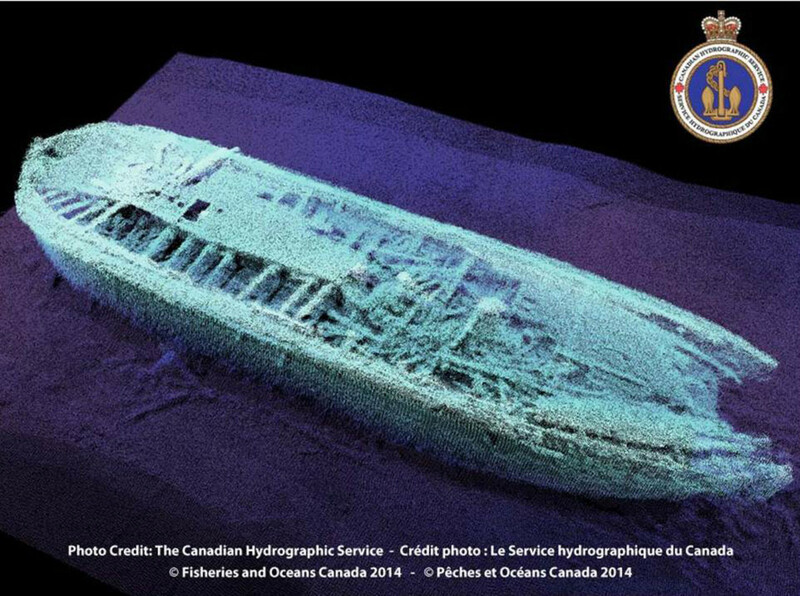 Hi Resolution sonar scan of the HMS Erebus wreck. Two years almost to the day after the discovery of the HMS Erebus, headlines around the world once again flashed the discovery of another Franklin vessel, the HMS Terror. 31 miles from her running mate, in approximately 80 feet of icy water, the terror's condition is remarkable. Originally constructed as a bomb vessel for the British Royal Navy, the Terror fought against the United States in the War of 1812. Afterwards she would see several exploration expeditions until being assigned to John Franklin in 1845. Like the Erebus, the Terror became locked in the ice flow and abandoned by the expedition. The discovery of this ship marks the end of a search that has spanned 140 years. She was found some 50 miles from where her ice locked location was recorded. 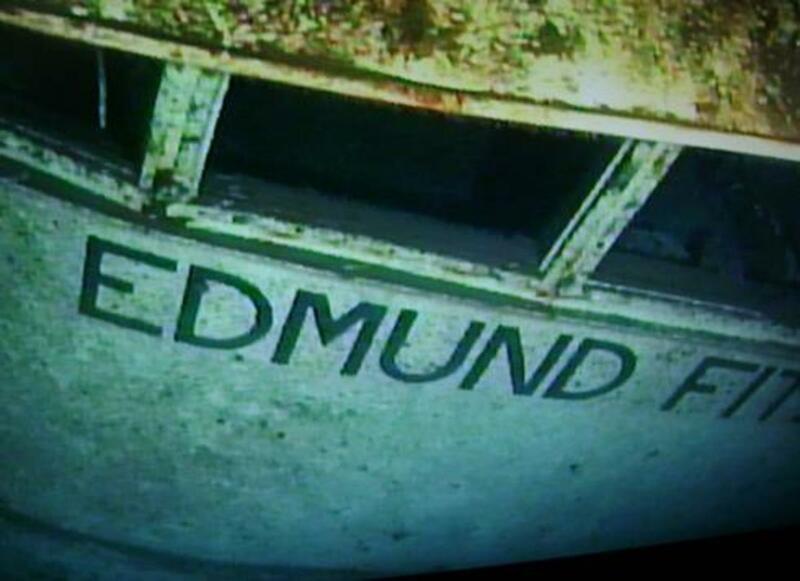 Interestingly enough, evidence was found on board suggesting that the ship was remanned after being abandoned. 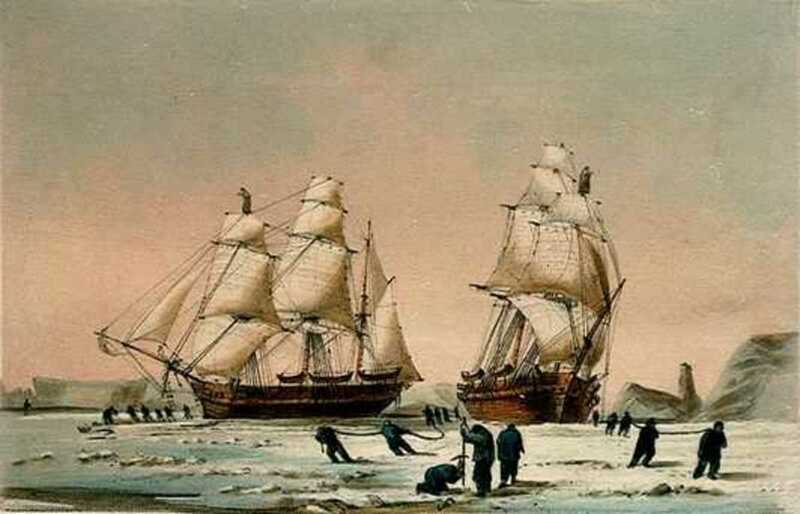 Perhaps some Franklin men returned to ship and attempted once again to free her from the ice. HMS Terror, covered in sea life. The infamous german warship, destroyed in a dramatic battle of air and sea, marked the beginning of the end for battleships. 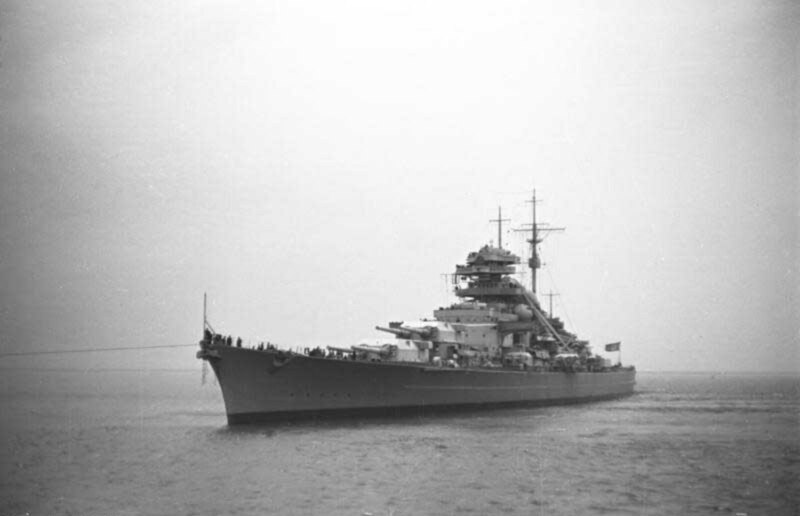 Launched in 1939 her size in full violation of the Anglo-German Naval Agreement, Bismarck and her sister Tirpiz were the largest battleships ever built by Germany. She entered into a combined naval operation with the heavy cruiser Prinz Eugen in May 1941 and quickly became a target for the Royal Navy. In a series of battles, the Bismarck was completely crippled by aircraft. The final battle involved three British ship against the crippled Bismarck. In just 30 minutes, the german ship was reduced to an inferno of steel and ash. The Bismarck was scuttled by her crew shortly after and she sank. Her wreck was discovered by Dr. Robert Ballard in June 1989. They found her standing upright in over 15,000 feet of water. 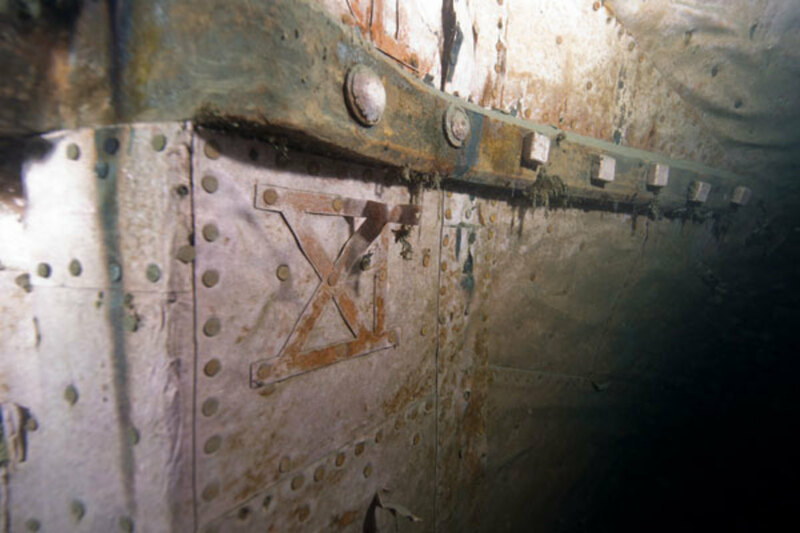 The extreme depth has kept the ship in remarkable condition. 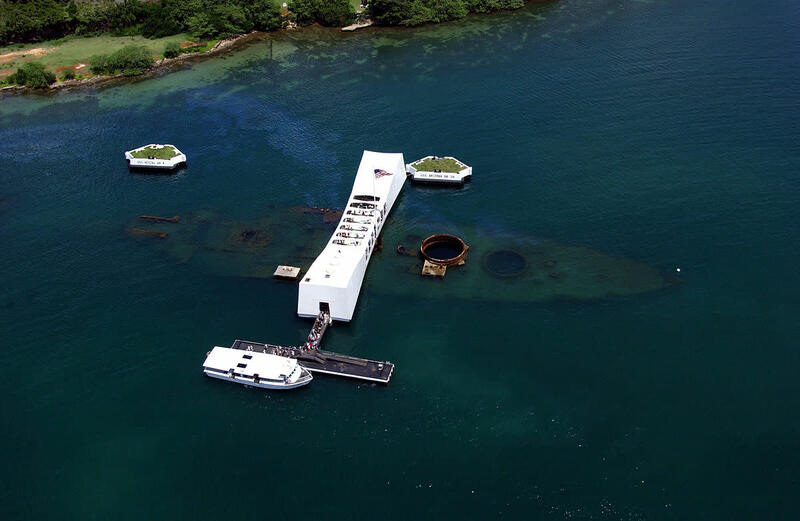 Bombed and sent to the bottom of Pearl Harbor during the Japanese attack of December 7, 1941, USS Arizona was a Pennsylvania-class super dreadnaught launched in 1915. While she never fired her guns in anger, Arizona did serve the US Navy for 26 years before sinking. During the first world war, she served primarily as a training ship, avoiding German U-Boats all together. Modernized in the 1920s and enjoying the roll of flagship in the 1930s, Arizona had a successful career. During the attack, the she was hit with a bomb that detonated in the powder magazine. The explosion was so powerful it actually lifted the ship out of the water before sending it to the bottom. Over 1,100 sailors were killed. Two of her four main turrets were salvaged and reused and her superstructure was removed and scrapped. The hull remains today where it sank. Over two quarts of oil a day still leak from the ship. Diving is strictly forbidden as the wreck was declared a shine by Congress in 1962. American's carrier casualty of the Battle of Midway, USS Yorktown was a flat top lead ship of her class. 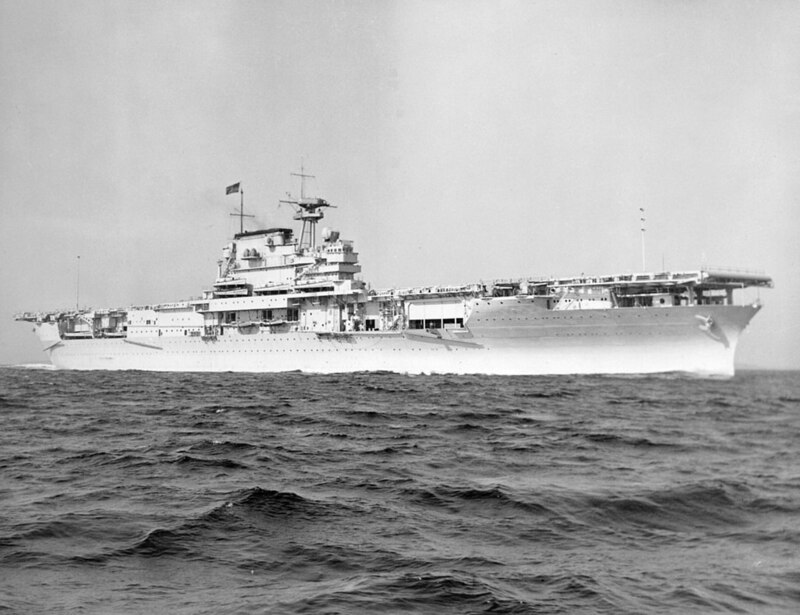 Launched just before World War II, the Yorktown was originally stationed in the Atlantic. After Pearl Harbor, Yorktown transferred to the Pacific and began operations against Japan. After receiving serious damage during the Battle of the Coral Sea, hasty repairs were made and the ship joined the Battle of Midway. During the attack, three of the four Japanese carriers involved were sunk. The remaining launched a assault on Yorktown. Despite an effect scramble and counter assault by Yorktown's planes, the ship took three direct hits by bombs. One struck the flight deck blowing a hole ten feet across. Another pierced the flight deck and exploded down the funnel disabling most of her boilers. The ship temporarily lost maneuvering ability and had barely enough power to maintain auxiliary systems. The third bomb pierced the starboard elevator shaft and caused fires deep below decks. Despite this, crews were able to contain the fires enough to refuel and launch another wave of planes to intercept the Japanese planes as they closed in for another assault. Crews were able to restore power enough for Yorktown to begin steaming. She successfully evaded two torpedo assaults before getting hit twice in the port side, jamming her rudder. The resulting list extinguished all her boilers, a total power loss. The order was given to abandon ship. Surprisingly the ship did not sink that night. The following morning, an attempt was made to salvage the ship. Five destroyers formed an anti torpedo net around the carrier. Crews boarded and pushed planes, guns and other heavy objects off the flight and hanger decks in an attempt to level the ship. Unknown to the crews, the Japanese I-168 had found a favorable position and fired four torpedoes. One struck a destroyer, sinking, and two other struck Yorktown. The salvage attempt was abandoned and a day later, the Yorktown finally sank. 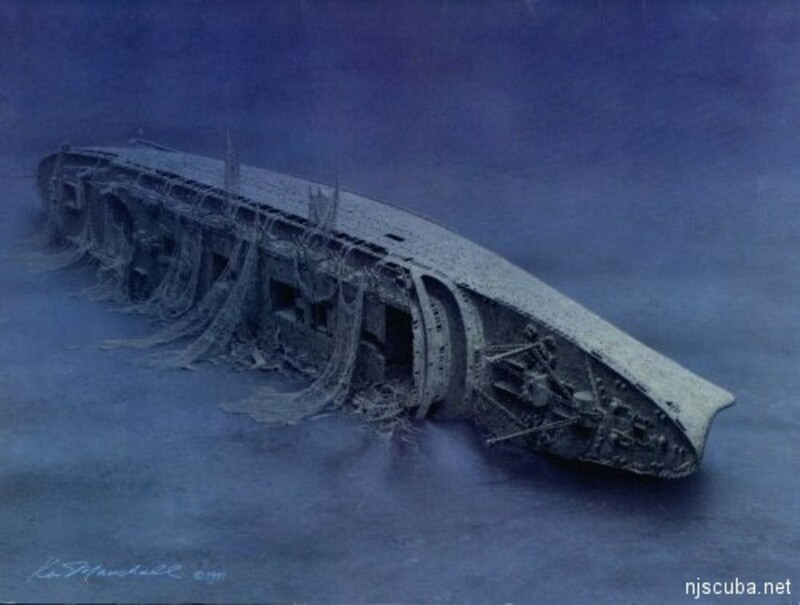 1998, Dr. Robert Ballard, fabled discovered of the Titanic, discovered the Yorktown wreck. Despite capsizing when she sank, the ship landed upright on the ocean floor at a depth of three miles, a mile deeper than Titanic. Such a depth has left the Yorktown in a surprisingly prestige condition. With no biological grown, the carrier is expected to survive in deep for centuries before deteriorating. The Yorktown wreck three miles below the surface. OMG! An article! Somebody here still writes articles - not just starts discussions! And what an interesting article. Research and photos! This was such an enjoyable read. Thank you for the work that went into it. Reading this was just like going through all of those tragedies in real life. It is had to believe that these peices of steel were some of the most glorious ships ever. Why thank you! Shipwrecks have always fascinated me. There are a couple more I want to add to this list too. An interesting read, Jason! Shipwrecks are so poignant. One of the worst accidents one could ever imagine, hold one's breath, grieve one's heart. What a collection there and learning back history of these unfortunate ships! Awesome information and very interesting! Thank you so much for your comment. Yes I agree, the human factor is a powerful element for each of the ships. What's interesting is the human factor that prompts changes.